Malinda & Leah (1st Place Sister/Sister Team TwinsRUNinOurFamily) may need some Disney magic to help us write our race recaps. ;-) In the meantime, check-out these Expo, Royal Family 5K, Princess Half Marathon & Princess Half Marathon Meet-Up recaps (listed in alphabetical order according to blog). Are you writing a race recap? Did you write a race recap? If so, let us know in the comments and we'll add your link to our post! Thanks for sharing and we hope you enjoy reading all the posts! Thanks for sharing mine!! I'm posting my race recap tomorrow too! Wow! Thanks for adding me! Great list for me to look through to find new blogs to read and to see others thoughts on this race! thanks for the shout out! my race recap is up. check it out! Thanks for sharing my recap!! I'll have to check out the variety of opinions out there! Thank you for sharing my recap! It was a tough race but I am so sad it's over! Congrats on your success and thanks for linking up to me! It truly is a small world! My sister and I were standing behind one of you on Monday in line for pictures in the New Fantasyland Circus section. I thought your shirt and bag were so cute and then I recognized your graphic on my blog when you left a comment!!! What are the chances? I guess about 1 in 26K! Thank you so much for the mention! I look forward to reading all of the other race recaps. Finally finished my race recap. I introduced myself outside of Be Our Guest at the Magic Kingdom on Saturday night! Thanks for such a great list of blogs! Thanks for providing the link to my post! Much appreciated! Thanks for gathering all these posts together! It is so much fun to relive the race. We have our expo one and Little Sis' experience up so far! We will be posting Big Sis' experience tomorrow, and our Mom's 1st EVER Half Marathon from the Disney Princess Half up later this week! Thank you so much for including me! 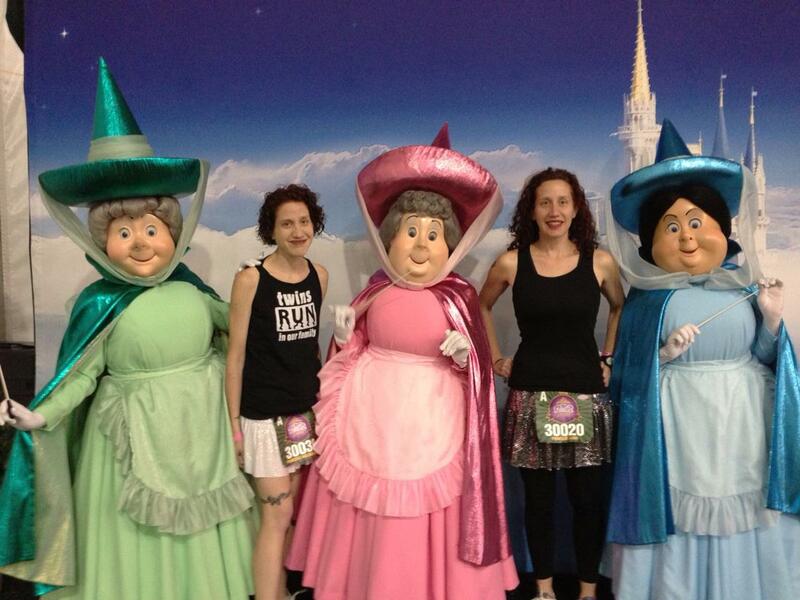 I hope our paths cross at a runDisney event! Thanks for including mine! Next year I think we all need to meet up! Thanks for posting! My recap is (finally) live as well! Runner Allison Foley is featured on Run Disney! She runs for her daughter Emma who has Rett Syndrome with the nonprofit Girl POwer 2 Cure (www.gp2c.org). Team GP2C expects to have over 125 runners fundraising for the cause at the 2015 Disney Princess Half Marathon. Participants fundraise and can earn their entire trip to Disney! Help us run for these girls who can't!